Do you dream of performing death defying stunts in midair? Are you an accountant or are you thinking of becoming an accountant, but you want to add a little more flare to set yourself apart from other accountants? You should combining your dreams and doing both, become an Acrobat Accountant. 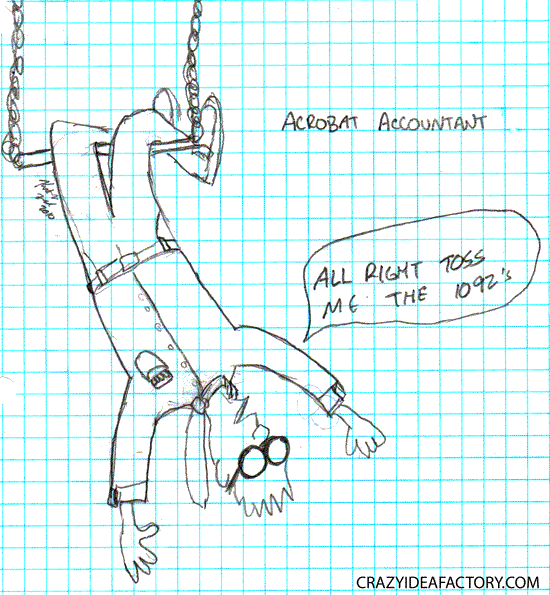 Who better to find loopholes in tax law or to walk that legal tightrope than the Acrobat Accountant? Audiences will be thrilled to watch you fly through the air on the trapeze while you fill out their tax returns. 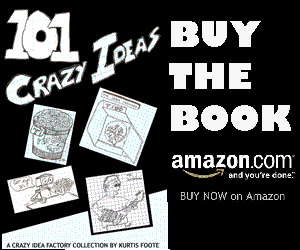 This crazy idea is inspired by the Illustration Friday phrase of the week, acrobat.